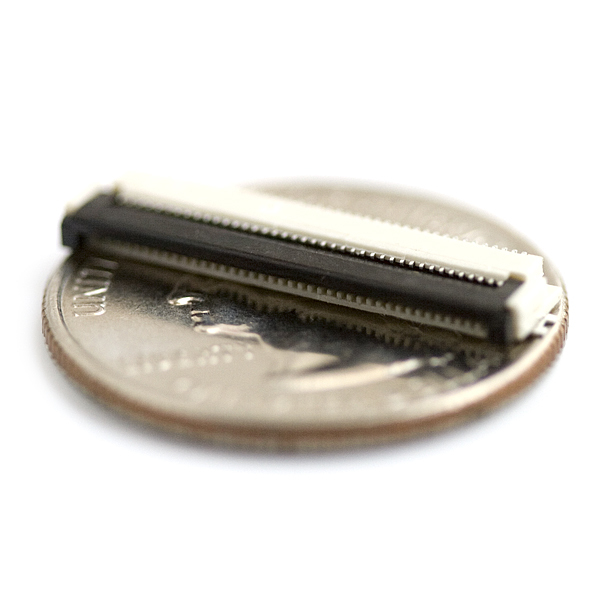 This is the ZIF connector for the PSP LCD. 0.5mm pitch means you'll have to be a bit experienced with soldering. 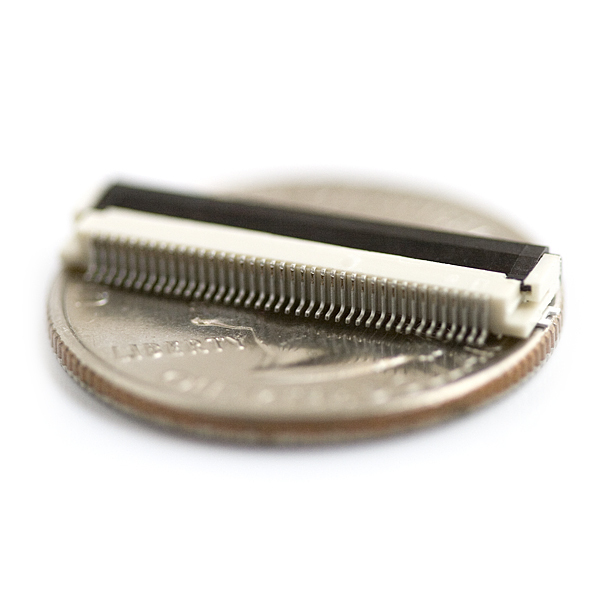 Can we look forward to getting breakout boards for connectors like these? I'd like to see a variety someday in the connectors category. I would also like to see a breakout board for this connector. I would like a breakout board as well! Indeed, I'll buy when a breakout board shows up! I'm would buy this with the PSP LCD & touch screen if this had a breakout. Breakout board from Mouser, recommended by sparkfun tech support. Is this the connector on the rapsberry pi? Can I reiterate what everyone else is saying ? Where's the breakout board. I want one of these displays so bad but w/o a breakout board for this connector I have no way to use it. Where's the love sparkfun ? also theres a 4 pin power connector that is also tricky to work with, to power the backlight. I'm not sure if the touchscreen connector would work the same, maybe that could be sold with/near this and a breakout board? I think that the link above isn't up to date. This datasheet is up to date and has the recommended footprint.